There are many ways in which you can help Tanzania Development Trust’s work. But one of the most useful is by regular giving. Regular giving helps us plan, in the knowledge that a steady stream of funds will be available for projects as they are approved by our Project Officers. Direct debits are one way, but if you are in employment, have you considered giving via your payroll? 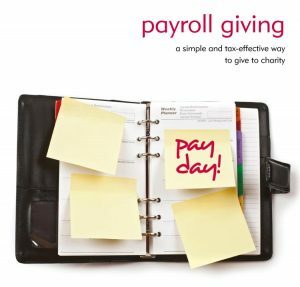 Payroll Giving allows you to donate to any charitable organisation, recognised by HMRC, directly from your pay. You will be eligible to join the Payroll Giving scheme provided your employer deducts Pay As You Earn tax from your pay or pension, and is signed up to a payroll giving scheme. The Gov.UK website has a list of approved payroll giving agencies. You submit a form, instructing donations to be deducted regularly from your payroll. Most employees will probably nominate a chosen charity for direct donation. But other options may be available – Charities Aid Foundation for example can set up a personal account to receive monthly payments, from which donations can then be made; they can also facilitate employees to set up their own charitable trust, or to pool donations to support a chosen cause. Donations are deducted from your pay pre-tax, so there’s no issue of claiming Gift Aid, and if you complete a tax return, there’s no need to include your Payroll Giving donations. It’s a tax-efficient way of giving. Because the gift is made from your pre-tax earnings, your take-home pay is reduced by less: a £15 donation effectively costs a 20% tax payer £12; a £15 donation by a 40% tax payer effectively costs him/her £9. Payroll giving platforms will generally take a fee: CAF for example takes up to 4%, and Stewardship deducts 2.5%. But in some cases employers will cover the fees. And even better, some employers will match the giving of the employee, up to a certain level. Should you decide to set up a regular donation to Tanzania Development Trust, the first step is to speak to your employer to see what, if any, scheme they operate. Of course we would be very glad to help with any information, details or advice. Just get in touch with our Treasurer on treasurer@tanzdevtrust.org. You may also wish to discuss channeling your donations to a particular project or type of project. And remember – not only is it a tax-efficient means of giving, but we promise that 100% of your donation will be spent on projects within Tanzania.